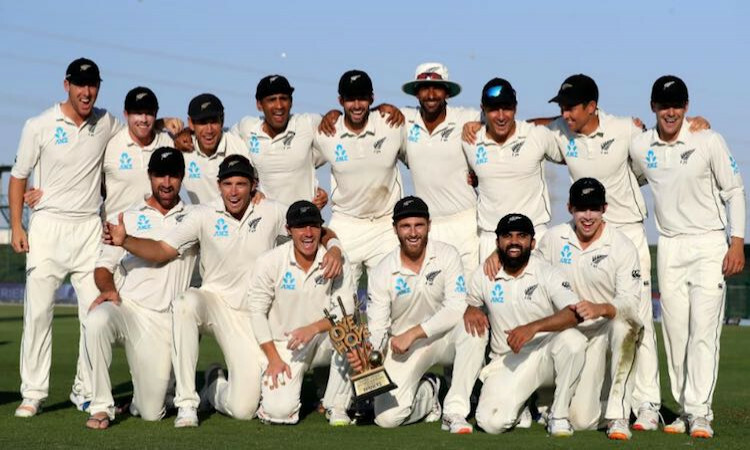 After quickly setting Pakistan a target of 280, New Zealand bowled Pakistan out for 156 on the fifth day of the third and final Test in Abu Dhabi to win their first away series against Pakistan since 1969. Tim Southee, William Somerville and Ajaz Patel took three wickets apiece. Earlier, Williamson had been trapped in front first ball of the day by Hasan Ali to fall for his overnight 139. Nicholls, on 90 overnight, recorded a brilliant ton.